Students working with Clarkson History Professor Dr. Stephen Casper engaged in a course project on Clarkson community members during World War I in 1917. This is a companion guide to that project which highlights library resources on this time period. If you are interested in what was happening at Clarkson during this time period, visit our archives. From the site: "The Miller Center is a nonpartisan affiliate of the University of Virginia that specializes in presidential scholarship, public policy, and political history and strives to apply the lessons of history and civil discourse to the nation's most pressing contemporary governance challenges." 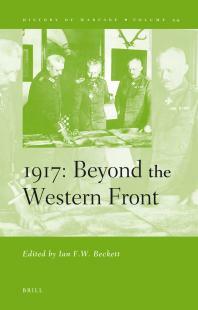 Explore stories and histories of World War I from across Europe. From the Public Domain Review: "To mark the 100 years since Australian and New Zealand Army Corps (ANZAC) fought the Gallipoli campaign of WW1, Alison Wishart, Senior Curator of Photographs at Australian War Memorial, explores the remarkable photographic record left by the soldiers. Made possible by the birth of Kodak’s portable camera, the photographs give a rare and intimate portrait of the soldier’s day-to-day life away from the heat of battle." Paul Nash, an English landscape artist, captured the destroyed landscapes of World War I and World War II. From the Public Domain Review. These are just some of the many articles on World War I available through our library. For more, search our homepage or see the list of history databases we subscribe to below. The NYS Historic Newspapers project provides free online access to a wide range of newspapers chosen to reflect New York's unique history. To search the entire collection, use the Search Tab. Or, click on a county to search or browse geographically. Citations to journal articles and book reviews covering a wide range of interdisciplinary fields from a broad array of humanities and social sciences journals. 1907 - 1984. Interdisciplinary archive of leading academic journals across the humanities, social sciences, and sciences. Includes images, letters, and other primary sources; begins with volume 1 of subscribed titles up to 3-5 years ago of publication. Current content not available. Clarkson journal collections include Arts & Sciences I, II, III, IV, V, VI, VII, Business III, & Life Sciences. Full text access may not be available for all articles found; limited to titles that Clarkson subscribes to. Full-text titles from around the world, including scholarly journals, trade and industry journals, magazines, technical reports, conference proceedings, government publications, and more. Scholarly journals, magazines, and reports covering all aspects of the past and current state of military affairs. Content in key subject areas including governmental policies, the socioeconomic effects of war, the structure of the armed forces, and more. Scholarly journals and magazines useful to both novice historians as well as advanced academic researchers. 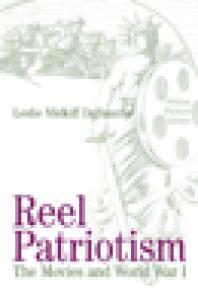 Balanced coverage of events in U.S. history and scholarly work being established in the field. Academic journals and magazines of interest to analysts, risk management professionals, and students of military science, history, and social science. Balanced coverage of both historic and contemporary topics in the fields of war and terrorism. Scholarly journals and magazines useful to both novice historians as well as advanced academic researchers. Balanced coverage of events in world history and scholarly work being established in the field. 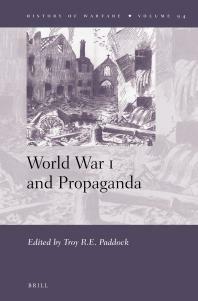 For more books on World War I, see our catalog.